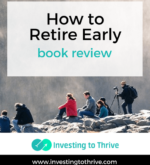 Recently, a reader pointed me to How To Retire Early: Your Guide to Getting Rich Slowly and Retiring on Less by Robert and Robin Charlton. 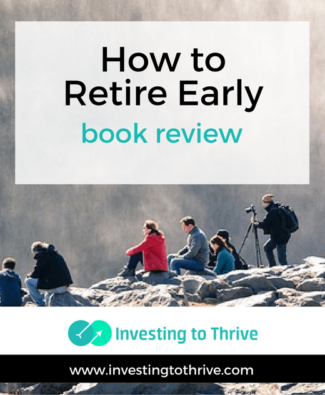 She mentioned this book is an example of the type of information that can be helpful to readers as they pursue and achieve financial goals. 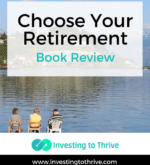 According to the book and its charts, the authors accumulated over $900,000 (on a relatively modest combined income of less than $100,000 per year for most of their investing years), retired early at age 43, and began traveling the world. You can see where they’ve been at Where We Be and learn about their investing, frugal living, and retirement journeys. Stock market news can be helpful. But it can also be harmful. 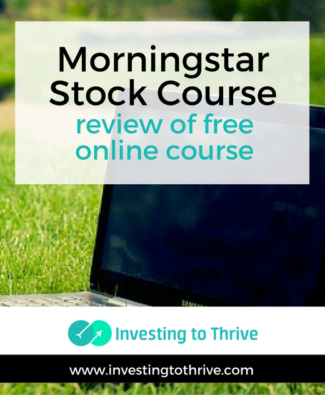 It may be useful for understanding conversations surrounding the stock market. For example, I’ve noticed that positive reports on consumer spending and employment tend to result in day-over-day market gains. Knowing that an increase in my portfolio’s value is due partly to happy investor sentiment and general economic well-being, not necessarily to my genius, can keep me from being overly confident. But commentary disguised as news can lead me astray. For example, I’ve sold shares at what was touted as a good price only to see the price grow 50% in the subsequent 12 months. In addition, I’ve had to fight the desire to completely cash out after reading doom-and-gloom predictions; my energy should be spent devising strategies and taking firm actions, not fretting about the future. 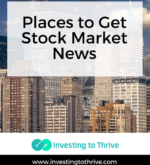 Still, consuming stock market news has helped me to learn how markets often react to certain types of news in the short term and whether these newsworthy events impact me in the long term. Having these insights has made me a more relaxed investor. 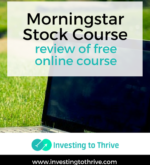 Morningstar may be best known for its star ratings of mutual funds, which you’ll often see mentioned in fund advertisements. 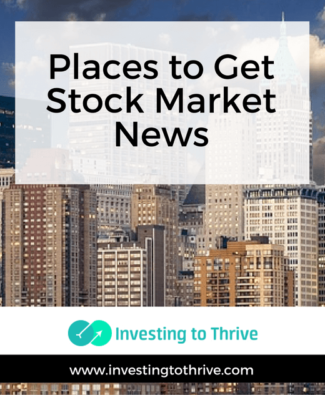 But the company also offers market commentary, investment research, and financial education, including stock investing education. One of the shortcomings in my investment knowledge has been bonds. As a business major, stock investing — buying shares of a publicly traded corporation — has been intuitive. 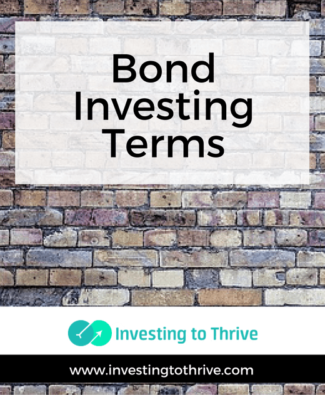 Investing in bonds has seemed more mysterious, largely because of the different types of bonds and the lingo unique to this investment genre. I’ve held bond funds in my portfolio but they’ve underperformed my stocks by a large margin and failed to provide stability to my portfolio. As I prepare for retirement and more passivity in my portfolio management, I plan to become a better investor particularly in the realm of diversification. Understanding bonds is an essential part of this process and so I’ve begun to delve into this area. Buying an individual bond is like making a loan to a government or corporate entity. I invest money in return for interest and payback of principal by the borrowing entity at the end of the loan term. The presence of a secondary market (see below) makes bond investing more complex. 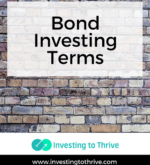 Understanding common bond investing terms is the foundation of grasping bond investing. 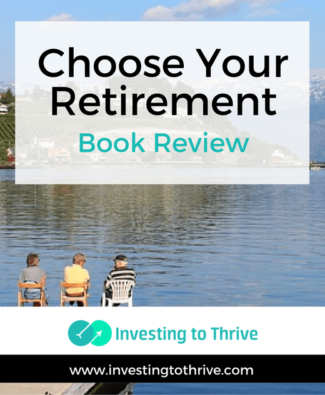 In her Choose Your Retirement book, Emily Guy Birken guides readers through choices for a good life, including those they may not have considered before.